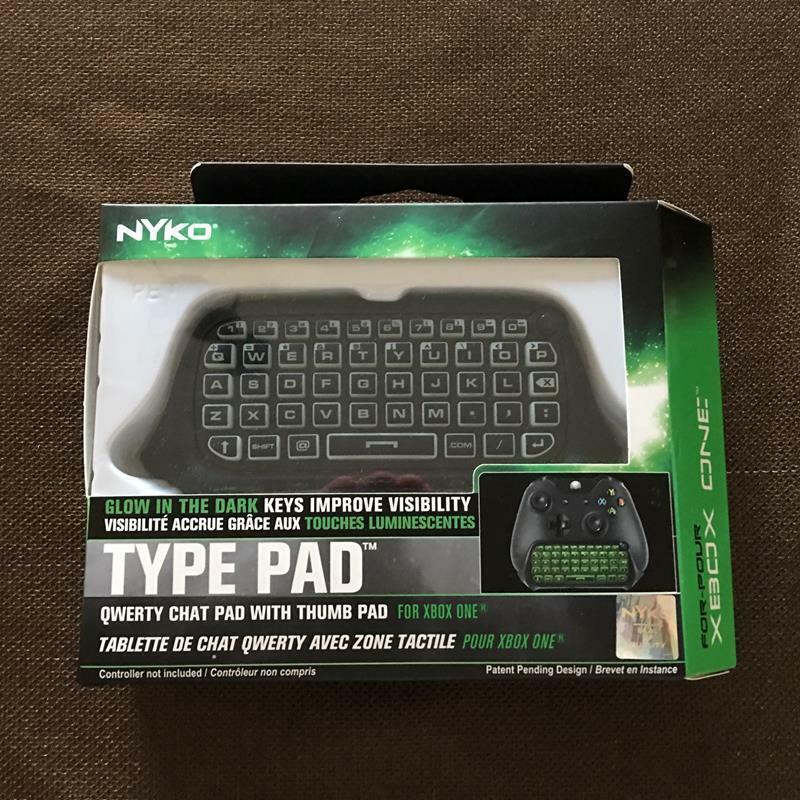 As NYKO enters 2016, they will officially celebrate their 20th anniversary of creating accessories for gaming consoles and various other platforms. 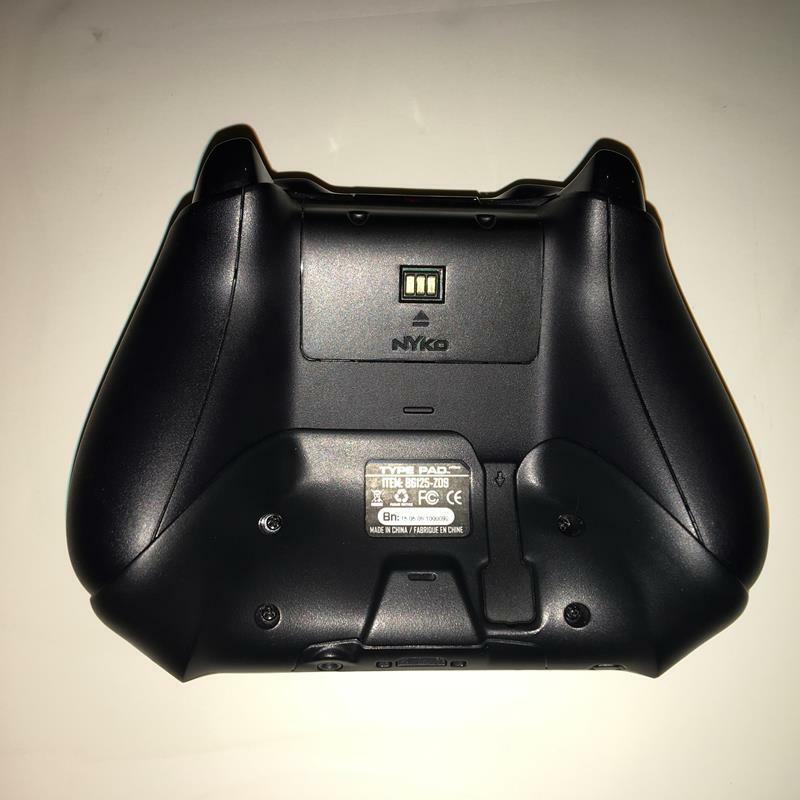 One of the latest solutions they have come up with is the Type Pad for the Xbox One. While it originally hit retail late in 2015, the first chance we had to play with it was at CES 2016. 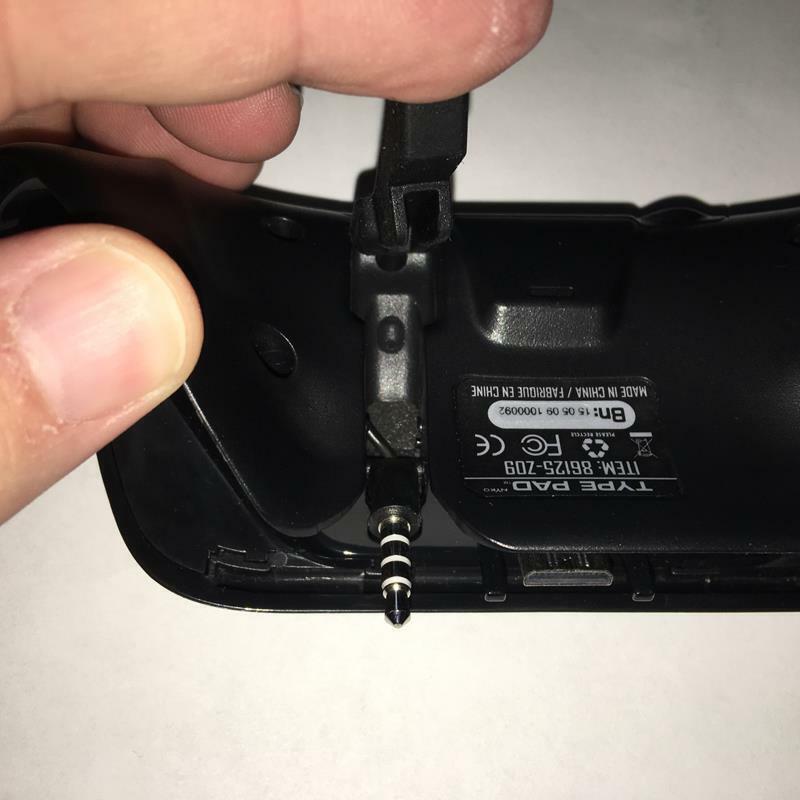 Since then, NYKO sent us a review unit that I can fits right in line with NYKO’s philosophy of providing a cheaper and better solution to missing or more expensive first-party accessories. 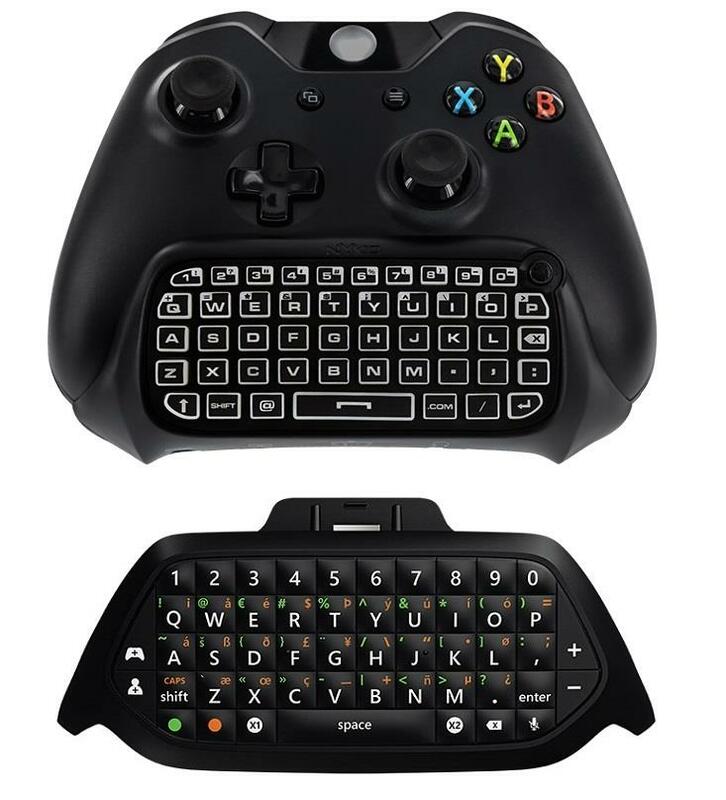 The obvious comparison will be between the official Microsoft Chat Pad ($34.99 MSRP) and the NYKO Type Pad ($29.99 MSRP) for Xbox One. Just doing an immediate stare and compare, there are several differences between the two products besides the $5 difference. 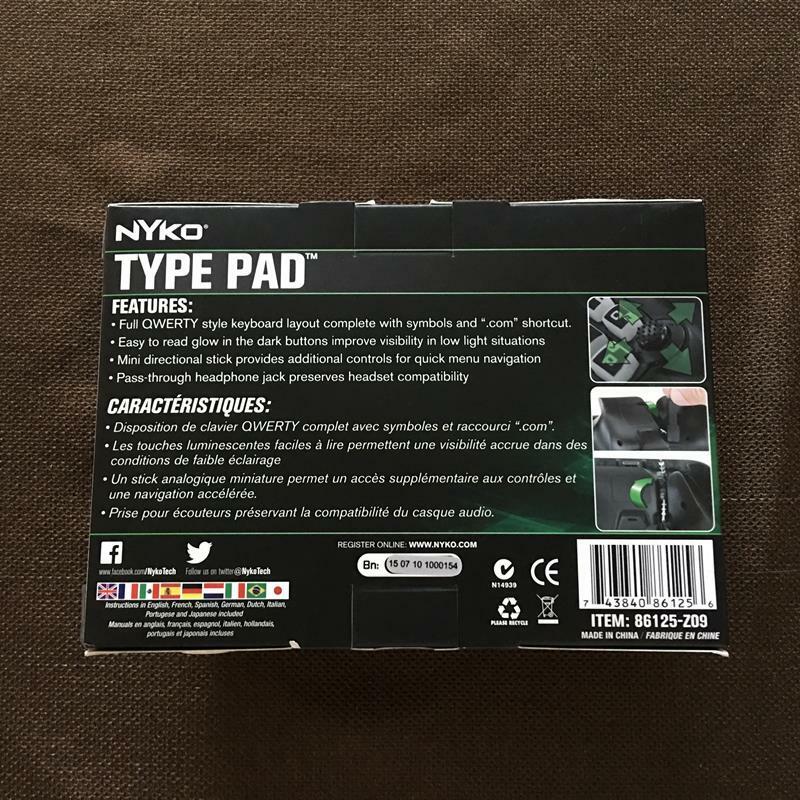 The most noticeable are that the NYKO Type Pad contains a navigation nub and dedicated buttons for "@" and ".com" (positives) and requires a dedicated USB receiver plugged into the Xbox One to connect (negative). 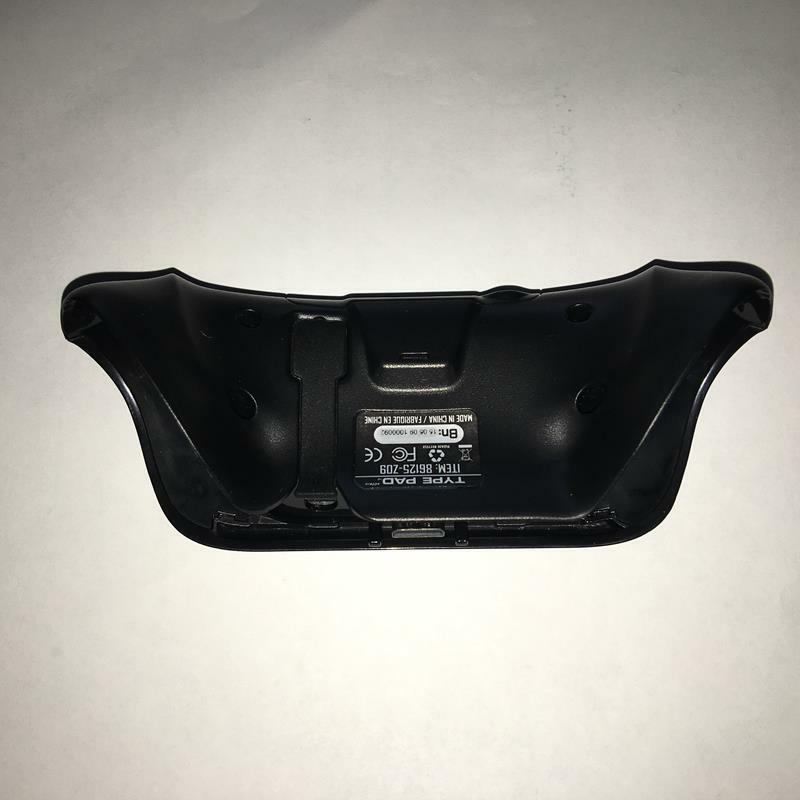 Otherwise, the layout on the Type Pad is more compact, as it fits more buttons on the device, which tend to be squattier and just overall smaller. The Type Pad also lacks the audio controls found on the Chat Pad, but those buttons may or may not be useful to everyone. 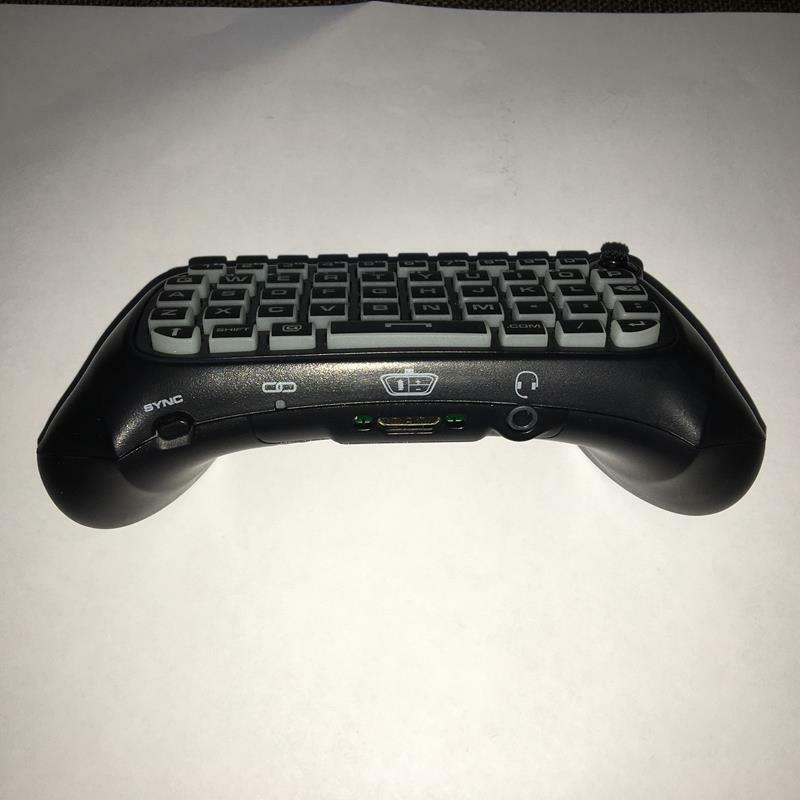 As for the fit with the controller, I tested the Type Pad connection with the four different Xbox One wireless controllers I have. I came up with a couple of different results. 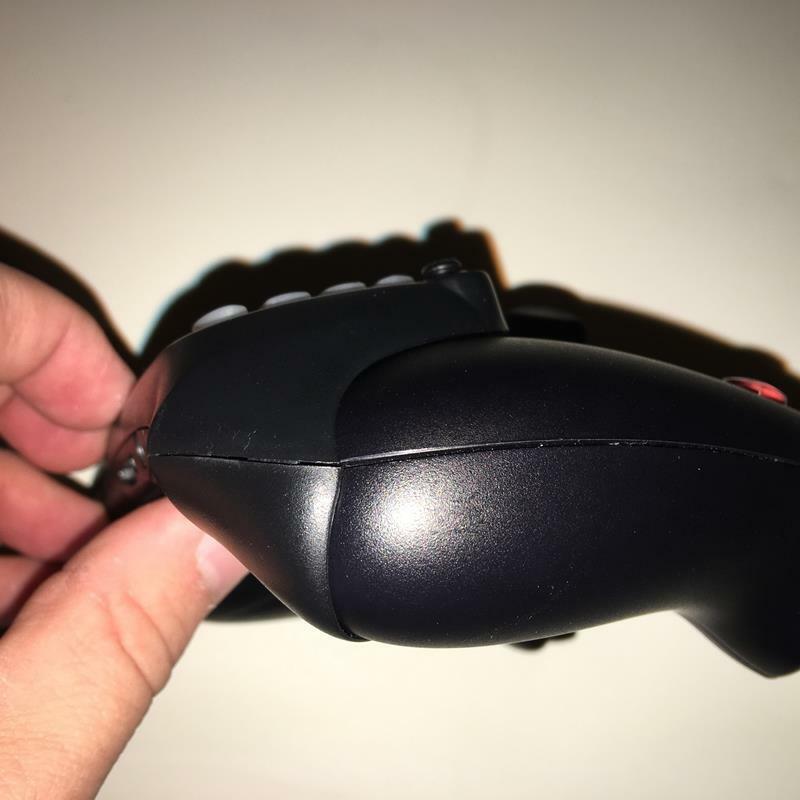 It easily fit on my Day One controller that came with my Xbox One along with the Midnight Forces and Call of Duty: Advanced Warfare controller, but I really struggled to get it aligned with the second official Xbox One controller that I bought at launch. 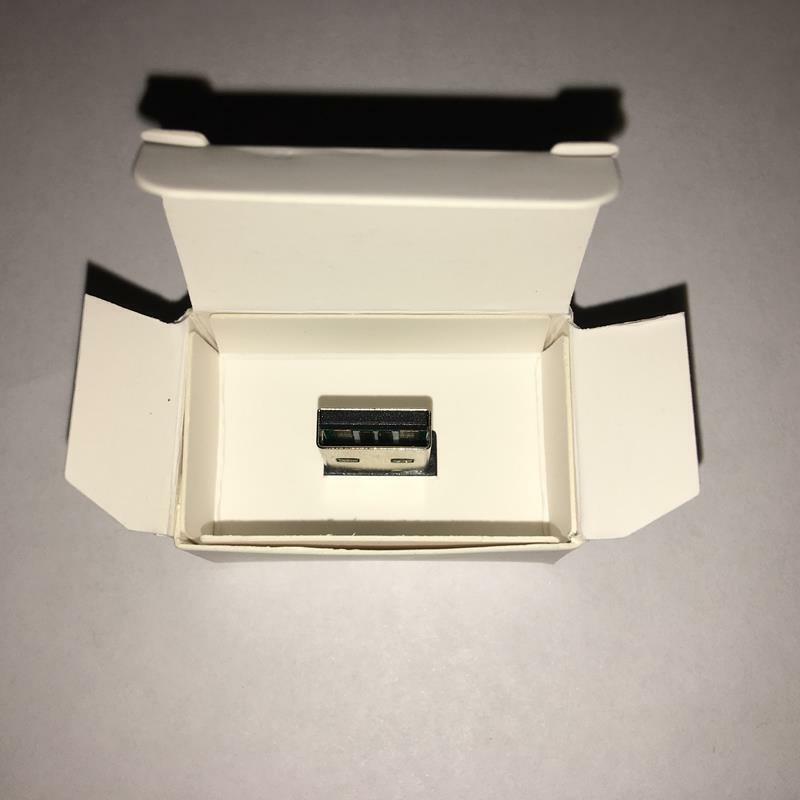 Eventually, after aligning it and taking some extra care, I was able to get the Type Pad to connect. Since then, it has gone on much easier than the first attempt, but it is still slightly off with the fit on that one controller. From a functional standpoint, the Type Pad works like a charm, with responsive buttons and a nice soft feel (they are rubber/silicone). 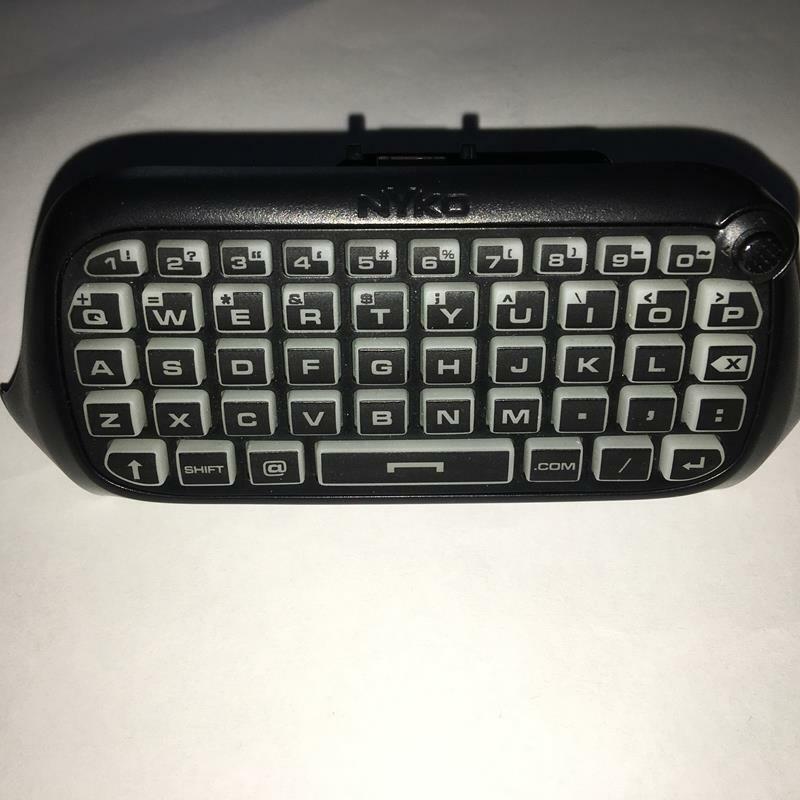 In addition to the full QWERTY, the addition of the specialty keys and analog navigation nub also allow for quick and easy use of the Type Pad without having to bring up the onscreen keyboard. The buttons have nice tension and spring back to them along with back lighting in a green hue which makes it easy to identify them when using the controller within a darkened room, such as the Home Theater projector in my test lab. I liked having the analog navigation nub to perform minor cursor movements while engaged in typing mode on the Xbox One. 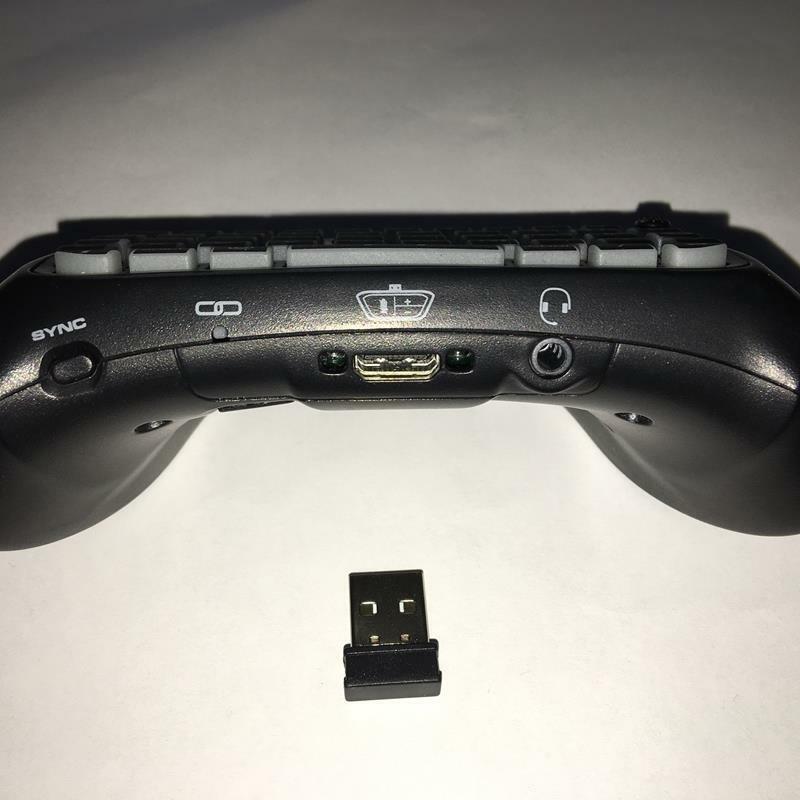 This saves time, as you would have to back out of the type mode, use the thumbstick, and reengage. It’s just a small time saver, and anyone that used a laptop from years past that had a similar nub will immediately be comfortable with its use. The predominate use I had for the keyboard was while using Internet Explorer, adding usernames and passwords to apps or doing a quick search. From the standpoint of “does the keyboard work,” the answer is a resounding yes. However, despite the buttons working great and being easy to find and read, I had this feeling that something was slightly off with them during use. I finally figured out what was bothering me. It was the size, spacing and location when aligning your hands and fingers with the Type Pad. I think the issue was predominately the height of the buttons, as they are a bit more wide than they are tall, but I also had some trouble with the number buttons being less than half the size of the rest. In addition, I think I have become so conditioned to using a smartphone, that anything that has the same basic usage concept like the Type Pad no longer feels natural to me. While this really isn’t a negative—as the Chat Pad worked great—it is just something I wanted to point out. Coupled with some of the missing functions and the dedicated USB, this may be a turn off to some that are looking for functionality that fully marries to the Xbox One. 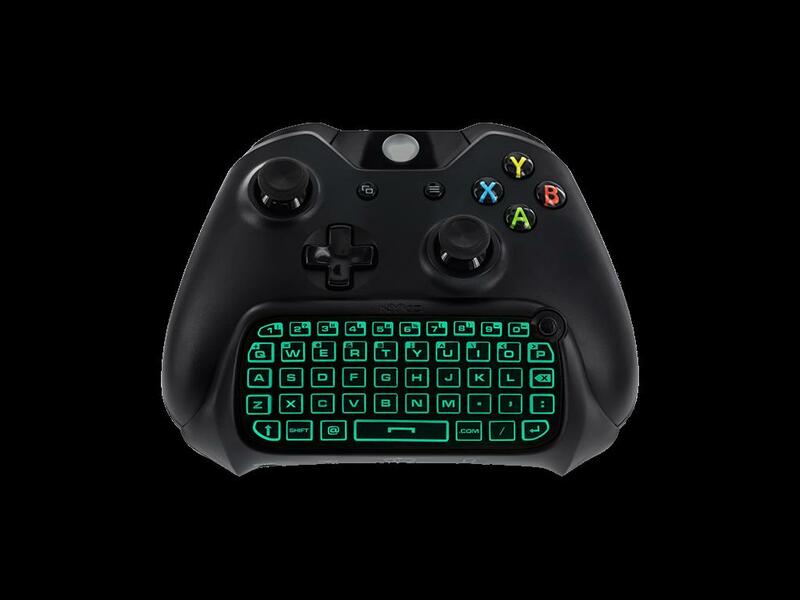 Dedicated buttons for "@" and ".com"
The bottom line is that the NYKO Type Pad allows you to add a QWERTY keyboard to your Xbox One at a lower cost than the official Microsoft Chat Pad. While the differences are minor, there may be some hang ups with folks that have a shortage of USB ports or who really need the audio controls found on the Chat Pad. Personally, the differences were negligible, as I don’t need the controls and it was more valuable to me to have the base keyboard function. 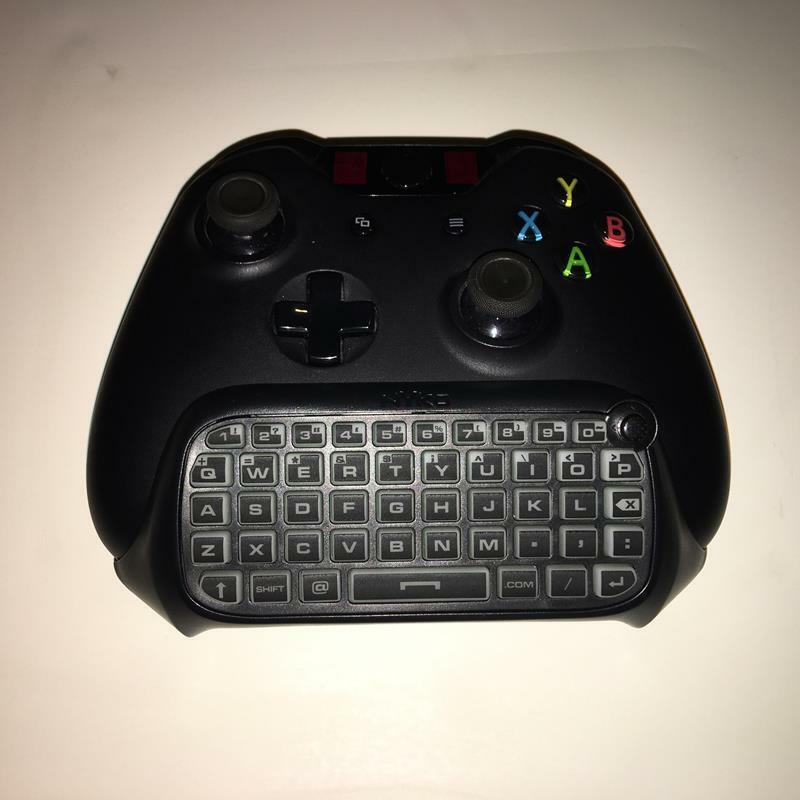 With that being said, if you are looking to add a keyboard to your Xbox One, then the Type Pad is definitely a viable option to purchase. 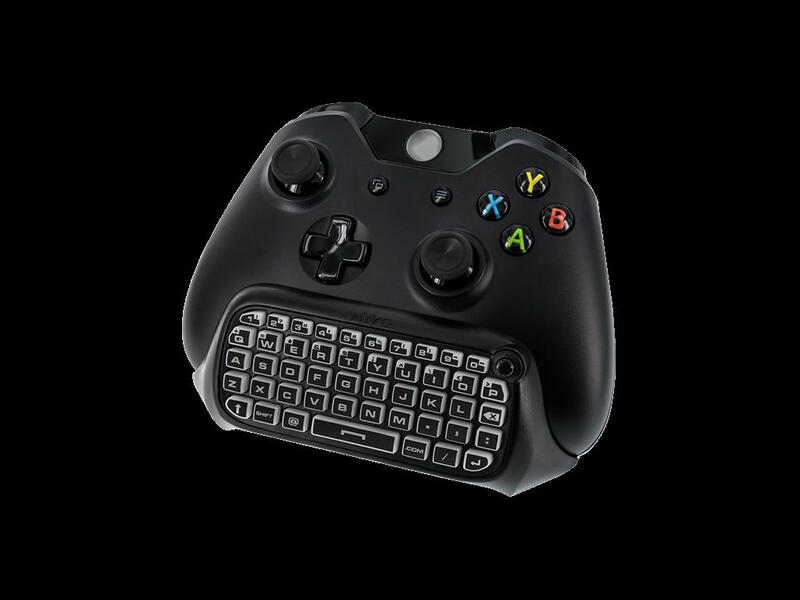 The Type Pad is a viable alternative to the official Xbox One Chat Pad—with a lower price.